Reliable websites for patients and families to learn from. Best local, regional and national cancer treatment centers. Get active, eat right and find cancer early. 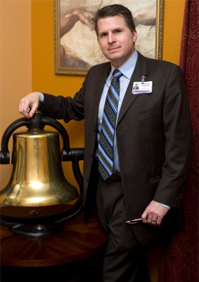 Dr. Iddings is a fellowship trained surgical oncologist from the prestigious, world-class, John Wayne Cancer Institute. Dr. Iddings is a native of Michigan who attended Michigan State University medical school and is dedicated to serving the people of this community, and region. In order to provide the highest level of care, Dr. Iddings complete 8 years of additional surgical training after medical school and specializes in the surgical treatment of cancer patients. As a surgical oncologist, Dr. Iddings has unsurpassed surgical training regarding the critical and up-to-date surgical treatment of cancer and orchestrates the best timing of different additional therapies such as chemotherapy and radiation if and when indicated. This comprehensive specialty care results in better outcomes when treating the most serious conditions. Dr. Iddings’ training and dedication to treating and defeating your cancer makes the difference. While there have been many advances in scientific knowledge and therapeutic medications, surgery still remains the most frequent used and single most effective treatment of solid tumors. Often, there is only one opportunity for cure and quality matters – that is why Dr. Iddings brings world-class training to mid-Michigan. Combining his training with his dedication and passion allows him to deliver personalized, one-on-one care that is second to none. Dr. Iddings is consistently recognized as one of Michigan’s favorite physicians and has been awarded the “Patients Choice” award every year since starting practice. While in the office you may hear the “cancer victory bell” ring (pictured above), this signifies a significant milestone in a patient’s life such as complete remission of disease or cure; moments like this give us all strength. This type of care, delivered in this way, makes a difference that cannot be measured. Dr. Iddings utilizes state-of-the-art surgical techniques including: the most comprehensive standard open surgery, minimally invasive surgical techniques and even nonsurgical, image-guided thermal ablation of solid tumors (radio-frequency ablation). An innovative area of minimally invasive surgery includes robotic surgery which has a developing role in the treatment of cancer. Dr. Iddings is a leader in the field of robotic surgery and performs a wide range of complex robotic procedures in his efforts to treat cancer. These efforts, on the frontier of minimally invasive surgery, result in maximal surgical effectiveness while limiting the physical and emotional pains of treatment. Think about it, it just makes sense, the future of surgery includes: enhanced visualization, superior instrument dexterity, optimization of surgical efficiency – particularly when there is no margin for error. This existing technology is taking surgery beyond the limits of the human hand. Click on the video describing robotic surgery to learn more…the future is now. Dr. Iddings is a surgeon scientist and is an associate clinical professor of Michigan State University as well as a fellow of the American College of Surgeons. Dr. Iddings actively participates in clinical trials and through research can find solutions to currently unsolved cancer problems. Widely recognized as an expert in the field, Dr. Iddings serves as a reviewer for the most prestigious surgical journals and frequently participates in national and international cancer symposiums. All of the achievements and recognition mean nothing without result; it all comes down to providing the best care to you…right now. It is only through combining this level of training and innovation with dedication, heart, commitment and passion that you can expect extraordinary results. These results provide opportunity for moments that matter most. When facing the challenge cancer presents in your life you need a person on your side like Dr. Iddings…… all in, all the time. To learn more about the state-of-the-art facilities recognized by Healthgrades as one of America’s 50 best hospitals and to rate your experience with Dr. Iddings, click on the appropriate window below.